I've struggled with domestic Kitchen Scales for too long now. They tend to be inconsistent in their readings, with the weight registered varying by the minute. 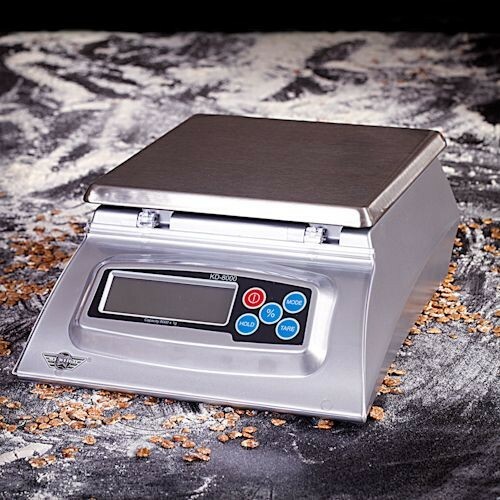 The KD8000 scales, in contrast, are rock-solid, have an indicator to show when the weight registered has settled, the usual Tare function and a near-unique "Baker's Percentage" function. The best feature of my set of KD8000s? They were a Christmas present from one of my wonderful daughters, KD Crustydave. Beautiful, slow-acting yeast; the slow action allows the development of a full flavour that is just not there with the variety more generally used in industrial bakeries. I actually use half the quantity suggested on the wrapper (the manufacturers suggest one 42gm block to a kilo of flour). Slow is beautiful.